Home How Does a Parent Change Custody or Visitation? When a Wyoming decree or order grants custody and visitation rights, a question often arises whether there is a process by which the court may later modify those rights. In answering the question, Wyoming Statute § 20–2–204(c) broadly sets a standard of “material change in circumstances since the entry of the [decree or order].” Wyoming Supreme Court decisions have interpreted and applied this standard under highly variable factual settings. Individual facts uniquely control each outcome. In Wyoming, then, modification of custody or visitation rights requires a three-step analysis. Each step must be satisfied. First, there must be a material change in circumstances. Second, the circumstances must have occurred after the date of the most recent decree or order addressing custody or visitation. Third, the modification must serve the best interests of the children. Thus, a mere change in circumstances, without more, does not result in a modification. Substantial change adversely affecting the children is the threshold. Modification based on transient and insubstantial reasons would introduce instability to the children’s lives. Father’s move to Colorado from Wyoming substantially disrupted the visitation schedule and substantially impacted the child’s life. Father’s changed residence represented a material change in circumstances that permitted addressing whether a modification in the visitation schedule would be in the best interest of the child. The stress suffered by the child during long and frequent commutes following the move justified modification of the visitation schedule. Jensen v. Milatzo-Jensen, 297 P.3d 768 (Wyo. 2013). The fact that mother kept two dogs and a cat and the child required allergy medication was not a material change in circumstances where father presented no evidence concerning the precise nature of child’s allergies, the impact of living with pets, if any, the side effects of the allergy medications on child, if any, or evidence that mother was acting contrary to medical advice in the living conditions she was providing or the manner in which she was medicating child. Hanson v. Belveal, 280 P.3d 1186 (Wyo. 2012). When both parents inform the court that a joint physical custody arrangement is not working, a sufficient change in circumstances justifying the reopening of the custody order is present. Roemmich v. Roemmich, 238 P.3d 89 (Wyo. 2010). Mother’s communication failures, violation of the decree’s visitation provision, and children’s emotional issues, did not constitute material change of circumstances sufficient to support change of primary custody from mother to father where children, despite having experienced instability in their lives since the divorce, were healthy, well-behaved children, generally doing well in school and living in a stable home with their mother, her fiancé and their new baby. Morris v. Morris, 170 P.3d 86 (Wyo. 2007). 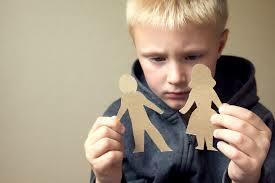 How Does the “Best Interests of the Children” Affect Visitation?How Is Child Support Determined in Wyoming? What Are Child Support Guidelines and Tables?